1. What class of warship do you play the most? 2. Do you play your most played class nearly exclusively, or do you play many classes about equally? I play all four different classes just about equally. 3. if you only play basically one class, what is the main reason? The others just are not fun. limited space in port means that I have to pick and choose what stays, so my favorite ship class has priority. 4. for those that play more than one class, what is your second most played? 5. for those playing 3 or 4, what is the third most played? 6. for those playing all 4, what is the least played class? Just wanted to get a feel from the community as to what class of ship they like to play most and if most players "Main" a certain class. I have a bit of a theory that I want to get data on. Cruiser main, here but also play all other 3 classes, so Q3 doesn’t quite matches my preferences. Question 3 needs "Bacon" as an answer. If you DO play more than one class, there needs to be an answer for that one you can use. But I play cruisers mostly, with BB's next. DD's a distant 3rd (because I stink in DD's). And CV's none at all as I find them wholly unenjoyable. Bad survey. I play cruisers and BB's about evenly with the cruisers winning by 124 matches along with the occasional DD. I rarely play a CV and after my last random debacle with them it will only be in Co-op at least with the current CV setup. Bad survey. I play cruisers and BB's about evenly along with the occasional DD so there is no answer for question 3 because of that. I think you will find that there is. I'm 42.7% Cruiser, 37% Destroyer and 20.1% Battleship. You put it in while I was making that post which I also edited, thanks. I would add another question that asks what your backup class is. I play cruisers 41.34% and battleships 35.26%. I want to play carriers more but the actual game play is just... bad. you still think this is a bad survey if the edit is to be believed. is there anything I can do to improve it? BB's mostly with the cruiser second and mainly used as an AA platform depending on my mood. DD's just don't fit my playing style and I got tired of the grind on CV's so I unloaded(sold) all of them. Added follow up questions for a more detailed breakdown. Thats dumb. can't answer questions that I added. If you are unable to answer the new questions but want to just answer in the comments, and I'll read them. I used to play cruisers a lot but since I got my Gearing I find that I enjoy its play-style the most. I still like cruisers though. I play BBs some but tend to die early because I'm always rushing into the thick of things. I suppose I need to grind up the German brawler line. I would say that I'm least experienced in CVs. I'm looking forward to the rework. It used to be cruisers for me now it has shifted to battleships. I play Battleships and Cruisers mostly with Destroyers coming in at third and CV at 4th. It really would be nice to have Kronshadt about now honestly since Alaska is going to take a good 3-4 months till it is released. Came into the game as a BB main, went to almost exclusively CVs til I got to ryujo and disliked it so went back to work on Kongo. Then slowly gone more and more to only really playing T9/10s with that mostly being BBs. Hopefully the rework will let me get back to really enjoying CVs like I used to. Destroyer, Cruiser, Battleship, and Aircraft Carrier are NOT classes of ships. They are TYPE of ships. Classes are group of ships built to a single design. The Iowa class BB or the Fletcher class DD, for example. And just an FYI, the word is spelled "cruisers", NOT "crusiers". I'm playing whichever line I'm grinding. I have to commit to a line and stick with it until I'm done since I cant' afford more than 2 or 3 lines at one time. Right now I can't grind anything until the new Akizuki line comes out because I have Akizuki, Gearing, and Yamato. That means the only thing I can do in Warships right now is play premiums in operations. Battleship Main. I play aggressive as hell, so cruisers don't have the endurance to get in and slug it out. Though I do respect the skill needed to play them well and the raw DPS they bring to a fight. I loathe the indirect play of carriers and refuse to sink so low as to play a stealth troll, in addition to neither style appealing to me at all. 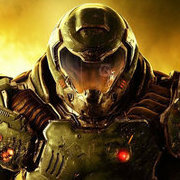 I log in for the boom of guns and the crash of steel. I crank the volume enough that every salvo shakes my desk and the woofer vibrates the floor. Carriers and magical assault ninja boats need not apply, but I do have a Cleveland and can get into a Des Moines if I want to. Saving up for an Alaska when she comes out, hopefully for free XP. She looks like a cruiser that can deliver some pain without having to play shore battery. BB main, but I do dabble in all the other classes. 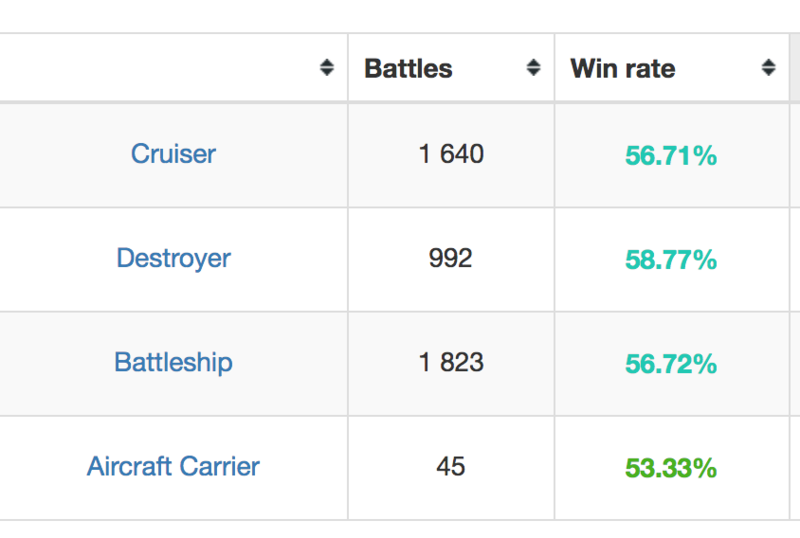 I play BB the most, followed by DD's and cruisers (roughly equally), and CV the least. Pretty much 50/50 cruisers and BBs. I dabbled in DDs and CVs when I first started just to get a feel for them, but dropped them fairly quickly. I guess I'm a conformist after all. All my answers were the top answers. I actually just started to dd lately. I'm working the RU, US and IJN lines. I would like to see a poll that asks about the number of nations of each ship type you are currently grinding. I think I have representation in every line except CVs. Did I miss a line? I like playing BBs/CAs. Of those 201 games though 52 are the Massachusetts. I can play destroyers well at the high tiers but all the radar of the USN lines really made them not as much fun to play recently (I'm still good with them, just less fun). I'm seeing less radar spam in the high tiers but still not finding destroyers as much fun. I forgot to remove that. Not to be pedantic, but BB, CV, etc. 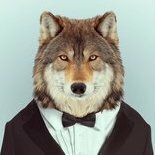 are types, not classes. Classes are groups of vessels built to nearly the same plans, i.e. HMS Exeter of the York class. True but even the experts will some times use class in that manner because it is understandable to ordinary people.